Does Marijuana Have Any Impact On Muscle Growth? Hey there. If you are looking to build up your muscles, you might be worried about the effects that marijuana will have on this. Fortunately, there are studies which have been done to determine the impact of marijuana on muscle growth. To fully understand the effects, you will need to know what the studies say and if this will be true for you. If you want to increase your muscle mass, you need to know about the human growth hormone. This hormone is produced by the pituitary gland and is responsible for the growth and regeneration of your cells. Muscle growth needs this hormone, but it is also important for brain and organ tissue growth. A study completed in 2002 on lab rats found that concentrated amounts of THC, one of the chemicals in marijuana, can reduce the amount of growth hormone that is produced. This has been linked to the effect THC has on the hypothalamus which causes a release of somatostatin. This is the chemical in the body used to stop the production of the growth hormone. Of course, this study was conducted on rats and there have been further human trials. When the study was replicated on humans, there was a different outcome. The study found that there was a slight increase in the production of growth hormone and cortisol. It is important to note that the increase was not significant and marijuana will not help you increase muscle mass, but it will also not stop the hormones that do this. You can learn more about the benefits of using the components of cannabis by visiting https://www.americanhempoil.net/ website. Another chemical in the body which is needed for muscle growth is testosterone. There are studies which have shown that marijuana can reduce the amount of testosterone produced, but this is not a permanent change. The studies conducted on rats showed that THC will suppress the HPA. This is the area believed to be responsible for the majority of testosterone production. The truth is that the HPS is actually only responsible for 5% of the testosterone produced by the body with the rest coming from the Leydig cells. This means that the study showing a reduction in testosterone was only a reduction in 5% of the body’s overall testosterone production. Additionally, this reduction was seen to occur for at most a 24-hour period. 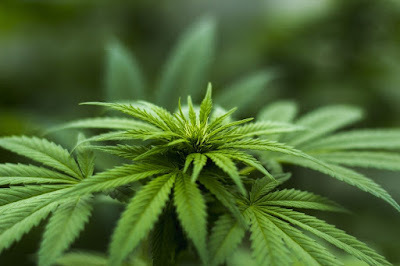 If you are a frequent user of marijuana, it is possible that you have built a tolerance to THC and this will be reflected in the effect it has on the HPA. As you build a tolerance, more THC is required to affect the HPA. Additionally, when this study was replicated on humans, it was found that there was a reduction in testosterone, but the levels remained in the normal range. A lot of bodybuilders worry about the effect of estrogen on their ability to increase their muscle mass. There are also horror stories about marijuana increasing estrogen to the level where men develop breasts. This is not true and is a pure fabrication as marijuana does not cause breasts in males. Studies conducted on both male and female rats showed that the female rat had increased estrogen levels when exposed to THC. This is due to the fact that THC competes with estradiol to bind with the estrogen receptors in the brain. The theory is that when there is more estrogen, there is less for the THC to bind with and it will bind with the endocannabinoid system instead. The result of this is that you will feel an increase in the pain relief aspect of marijuana, but it cannot increase the amount of estrogen produced. Male bodybuilders do not have to worry about breasts and female bodybuilders need less marijuana to get the pain relief benefits.